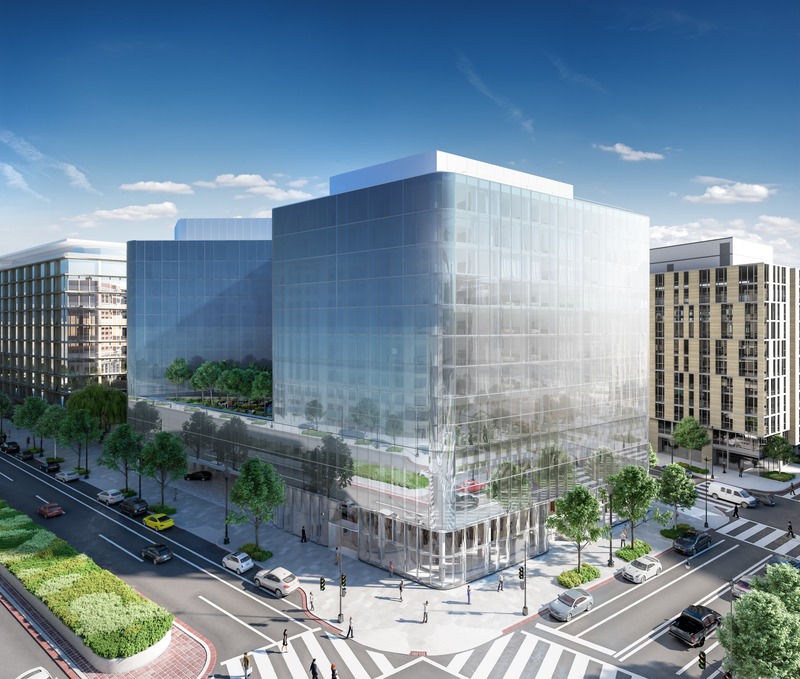 When the 360-room Conrad Washington, DC opens its doors in February 2019, it will become Conrad Hotels & Resorts first property in the nation's capital. The Conrad Washington, DC's all-glass exterior was designed by Swizz architecture firm Herzog & de Meuron. 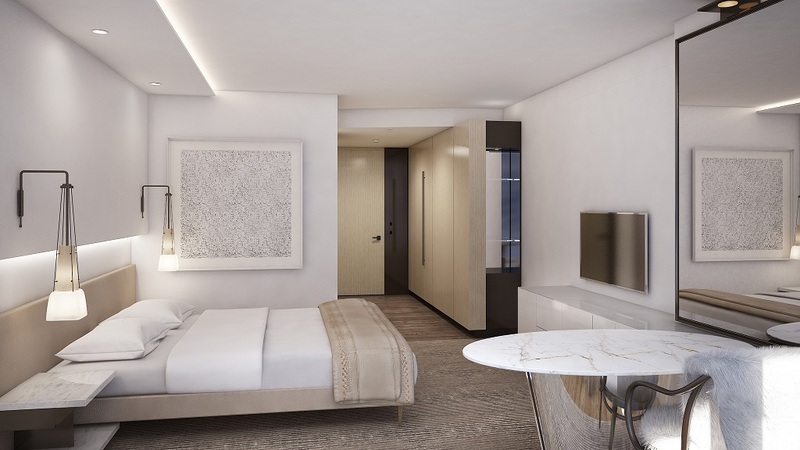 The new hotel, now accepting reservations for guests, meetings, and events, features a sleek all-glass exterior designed by Swiss architecture firm Herzog & de Meuron, which also designed the Olympic Stadium in Beijing and The Tate Modern in London. 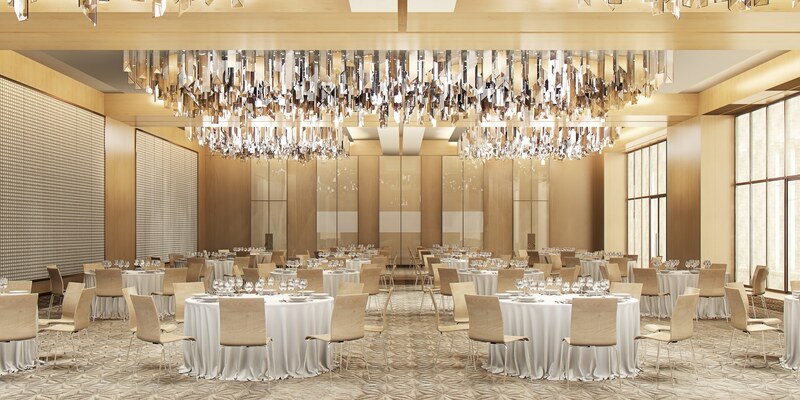 The hotel's new ballroom is set to be one of the focal event spaces. The 10-floor property will host Top Chef alumni, Bryan and Michael Voltaggio's latest restaurant, Estuary, as well as offer guests access to three outdoor terraces, a rooftop bar, and event terrace with a panoramic view of the U.S. Capitol. Guests who purchase a club level guestroom or suite will be given access to the exclusive Sakura Club, located on tenth floor of the hotel, which offers visitors the opportunity to indulge in made-to-order meals from a private chef, access to a dedicated club concierge, use of private meeting rooms, priority reservations at Estuary, and special access to rooftop bar events. The special club pays homage to the signature trees gifted to Washington, D.C. by Japan in 1912. Situated near CityCenterDC in downtown Washington, D.C., the location is also a stone's throw from a variety of luxury retailers including Gucci, Hermès, Louis Vuitton, and more. With a portfolio of 34 luxury properties, Conrad Hotels & Resorts has locations in over 21 countries around the world, including New York, Hong Kong, London, the Maldives, Bora Bora, and Koh Samui.